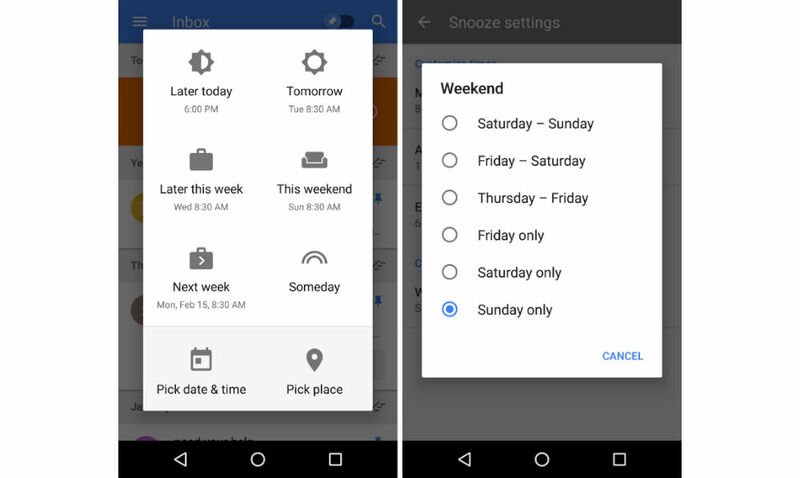 An update is rolling out to Inbox, filled with useful tweaks for the Snooze functionality inside of the app. 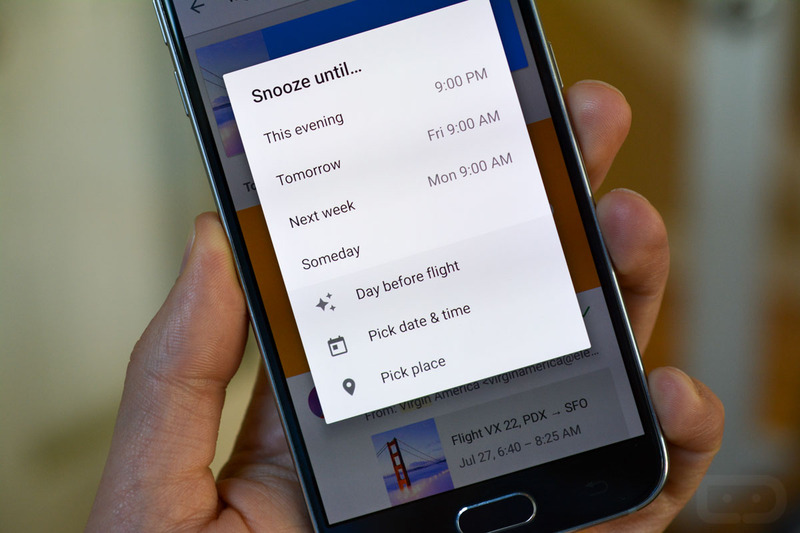 Once updated, users will be able to select between two new snooze times, Later This Week and This Weekend. With these times added in, this should cut down on time spent choosing custom snooze times for your email. Additionally, exactly like how you choose a preferred morning time to receive email, you can select which days are your weekend. For example, if your weekend falls on a Thursday and Friday, you can select that option. If you only want to receive the email on a Sunday, you can choose that option. Google states that these changes will roll out over the next week on Android.